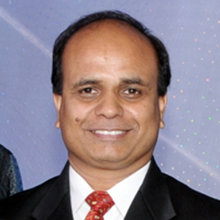 Arnab has 20+ years of experience in Facilities and Administration and responsible for various locations. Rich experience in setting up large Facilities, including abroad locations. I am taking care of multiple locations in my current role and ensuring continuous support without any downtime. I have been instrumental in creating office space in SAP Labs Gurgaon, Vodafone UPW Circle offices across UP and Uttarakhand. In my current stint with RealPage, I have been instrumental in creating office space in Hyderabad, Philippines Island, Dubai and Barcelona". 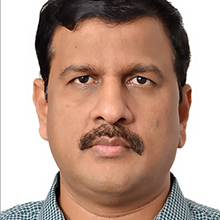 Haraprasad has over 16 years of experience in Corporate Real Estate, Facilities & Administration, Hospitality, Business Continuity Planning, Contract Administration, Service Delivery Management and Team Management. 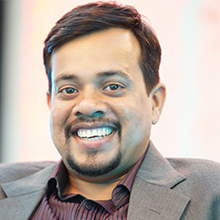 Presently Haraprasad is leading the Facilities & Administration Functions for KARVY Group for PAN India. 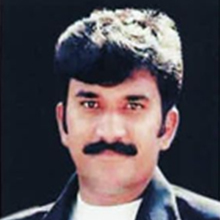 Prior to joining KARVY, he has worked with Dell, Ramoji Film City, and Hotel Swosti. He has implemented and delivered offsite projects successfully with large teams in excess of 4000 resources. He has been awarded Facilities Manager of the Year at the 2nd FM Zone India Leadership Summit, Supported by NASSCOM for the year 2013. 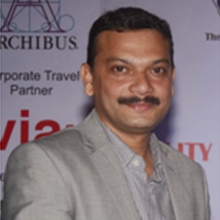 He is a Hotel Management professional with an MBA degree. 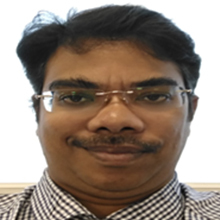 Naveen Kumar Vadde (FMP® SFP® 5S LA®) is a Key Account Manager for Cognizant Technology Solutions – Hyderabad, Naveen carries over 19 years of experience in Hospitality, Administration domains and was previously associated with IPMSL, Sodexo, Cushman & Wakefield. 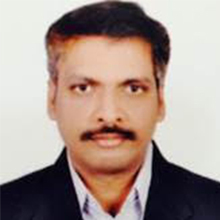 He is a Credentialed Facility Management Professional and Sustainable Facility Management Professional from IFMA. Other hobbies- likes reading books, fitness and is passionate on sustainable initiatives. A hands-on expertise and 28 years of experience of managing in Administration, Facilities & Logistics Management with large global service delivery organizations such as Virtusa Corporations, HSBC, Accenture, GE Capital, supporting their IT service operations of Delivery Centers with customer touch point. Praveen has championed managing the logistics needs of 24X7 support services operations throughout my career. His key strengths include high courageous integrity and focus on quality, formulating & implementing processes / frameworks to build scalability and improve efficiency to sustain robust and consistent business growth. Proven track record of being instrumental in driving strategic initiatives and optimizing solutions in various projects supporting corporate goals. Expertise in managing and motivating team in an open work environment through period of stress, change, development in a multitasked and fast pace environment. Certified GE Six Sigma Green Belt, Certified Professional in Business Continuity Management based on BS25999 Standards and Certified Internal Auditor for EMS & OHSAS. Praveen holds a Post Graduate Degree in Economics. 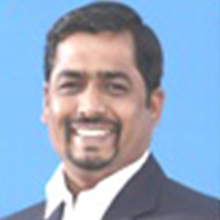 Siva is a Senior Director Facilities & Administration with Keane India Limited (NTT DATA ). Prior to joining Keane, he was Head Facilities & Administration for Intelligroup Asia Pvt Ltd (An NTT DATA Company) & Navionics Systems Pvt Ltd. He has a work experience of over 19 +years . He is well versed with Administration & Facilities , Procurement , Commercials & RE Strategy, Management & Execution of Projects, Transactions, Infrastructure and Facilities for portfolio of over 1.5M sqft. Negotiated lease transactions across India, implemented & lead changes in space design, conceptualized & executed strategic space consolidation projects resulting in optimized locations & spaces. He is also a integration specialist , who has been part of integrating 3 organizations. Siva is a commerce graduate, Master in Business Administration (HR) from Canterbury University & also holds Diploma in IRPM from IIMT Chennai. 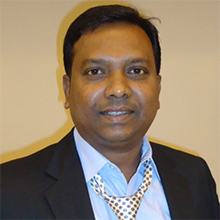 Srikant heads the Global Real Estate & Workplace Services, India & Asia, at AMD R&D center (I) Pvt. Ltd. Over 20+ years of diverse hands-on experience in General Administration, Facility, Project Management, Security Travel & Transport, Purchase and procurement, and EHS management across BPO, IT, ITES, Manufacturing Industry. A Civil Engineer, & Business Management Diploma holder, having Global Admin and Facility Management, Project Management, Security expertise. Certification in SIX Sigma and Leeds qualified. Holding leadership roles in Blue Chip organizations, responsible for the creation and development of the construction Capex in project management, infrastructure setup and facilities management activity and responsible for entire gamut of Administration and facilities management, Infrastructure Project Management, Travel and Transport Management, EHS,Security,Purchase and Procurement Management for India region primarily and specific Global locations(ASIA, EMEA),providing support from India to multiple geographies including the UK‚ US‚ Ireland‚ Hungary‚ Poland‚ the Czech Republic‚ Slovakia‚ Turkey‚ Thailand‚ South Korea‚ Malaysia‚ China and Japan for project management, Administration and facilities Management operations. An operational and management professional with 17 years of experience in administration and facility management, handled facilities like IT companies, Pharma and BPO facilities, worked in GE Capital, Deloitte, GVKBIO, CSC and presently working with SIGNODE INDIA LIMITED., at SIGNODE responsible for overall FM operations & Infrastructure Management across the country includes setting up new offices and managing existing offices catering to sales, technical service and manufacturing professionals. 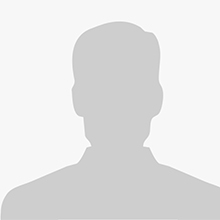 Total Experience of 25+ years, worked in manufacturing industries for 10+years and 15+ years in IT and presently he is with OpenText Group, Canada as head, Facilities - India. Instrumental in setting up a 400 acre remote manufacturing facility; as Facilities Head for a 22-acre campus with 1 Million Sft space; housing 30+ IT companies and 10000+ employees at Vanenburg IT Park presently Ascendas ‘V” Park; directed the facilities & security management operations from ground. Managing 300,000 Sft IT Space at Hyderabad and Bangalore for Open Text including execution of building new spaces in present role since 2014. Instrumental in establishing Society Cyberabad Security Council 9 SCSC) , a joint collaboration of local IT establishments and federal police department in 2006. Represented as “Hon. Secretary” from 2007 t0 2015, for many initiatives to support IT establishments in continuity of their operations; resolution of safety & security aspects etc., Felicitated by OSAC, Telangana Labour Department and Cyberabad Police Commissioners for the contributions made to IT Industry and Society. Having an addition responsibility of Secretary for IT FAN since Jan 2016.